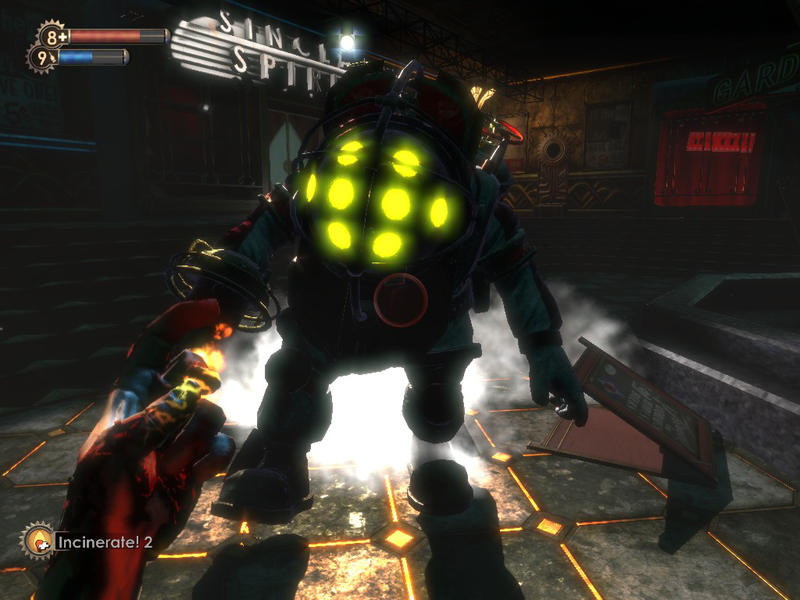 I bought BioShock on a Steam sale once upon a time and finally got around to playing it. However, a few minutes into the game I realized that the lack of sound was not due to my character going deaf from an initial explosion. After trying to tweak the sound settings without any success I came to realize that BioShock is rather old as it was released back in 2007. Thus, it’s not exactly certified for Windows 8. A quick fix was to run the game in compatibility mode for Windows XP (Service Pack 3) which immediately brought the in-game sound back to life. From Steam’s Game library” right click on BioShock and select properties, then select the tab called “Local files” and finally click the button labeled “Browse local files”. You’ll now find yourself in the game directory. 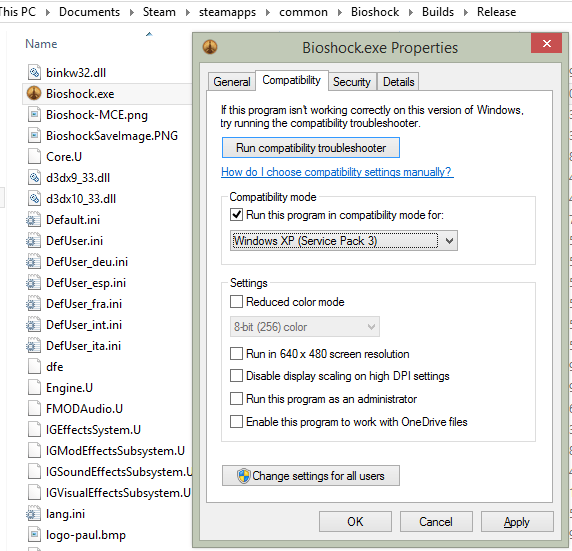 Navigate down the “Builds” and “Release” folders and finally right click “Bioshock.exe” (the game executable) and select properties. Then select the “Compatibility” tab and tick “Run this program in compatibility mode for: Windows XP (Service Pack 3)”. Click “Apply” and you’re all set. A quicker way to locate Bioshock.exe would obviously be to just search for the file. The game performs great in XP compatibility mode and after ten hours of playing it has only crashed twice. That’s all right in my book. Trying to start the game Kane & Lynch: Dead Men from the Steam client on a default Windows 8.1 installation will not work. Furthermore, you’ll get no error message other than the obvious lack of the gameplay. This installation procedure will extract only relevant libraries and executables from the BIND 9 package, and not install a full-blown DNS server. The installation method is also applicable on Windows 7 64-bit systems. Having a sick day, I jumped at the opportunity to download and install the latest Windows 8.1 release on my Asus ROG Tytan CG8480 Windows 8-based gaming pc. Since the update came at a solid 3.4GB I decided to let Windows handle this one on its own. When I came back to check out my new Windows system, I was informed that Windows unfortunately couldn't complete the update.